Ridges: Vertical ridges are a normal sign of aging, while horizontal ridges could be a sign of disease or deficiency. White spots on nails: White spots are a sign of past injury to that nail. 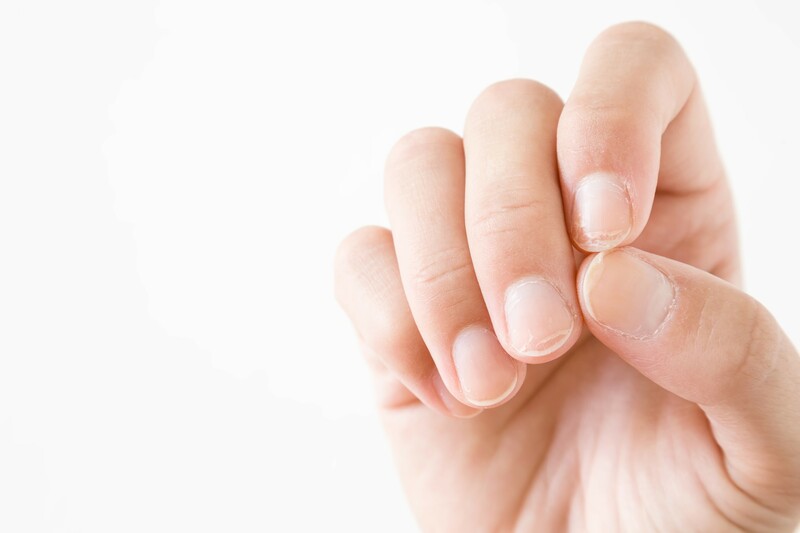 Rippled or pitted nails: If your nails look like they have tiny, ice pick-like indentions, it could be a sign of psoriasis. Dry and brittle nails: If your nails frequently crack or split, there may be an issue with your thyroid.